Dance Informa has announced a massive sweepstake exclusively for its American readership! 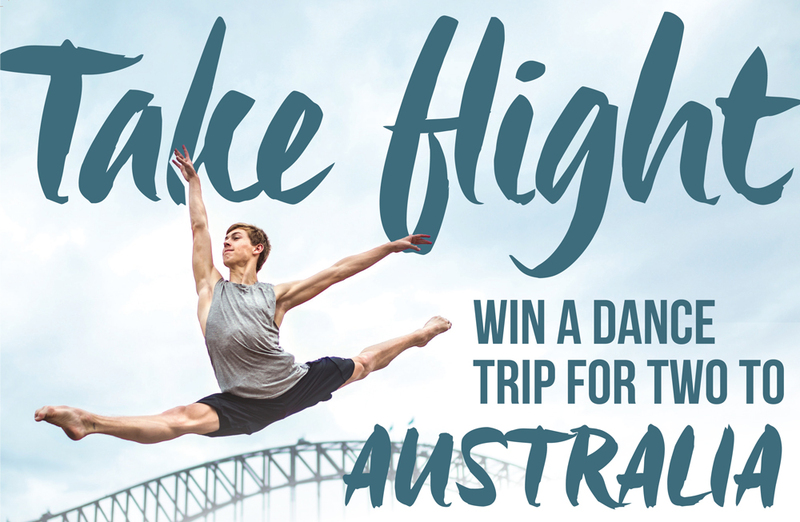 In celebration of our 10th anniversary this year, we have partnered with highly sought after Australian dancewear brand Energetiks to offer an exclusive dance trip for two to Australia in 2018. Dance Informa released its first edition in February 2007 and quickly became Australia’s largest dance magazine. After much interest from America, a U.S. team was formed and the first U.S. edition was released in February 2011. Now Dance Informa boasts one of the largest dance readerships in the world, enjoying the coverage and content provided by a network of more than 70 dance journalists across the globe. Now Dance Informa and Energetiks are giving American dancers a thrilling chance to win a one-of-a-kind trip for two to Australia, where they’ll receive five night’s accommodation in Melbourne (known as Australia’s dance capital), a $500 dance shopping spree at Energetiks’ Melbourne store, plus full attendee passes to the country’s premiere dance event – Victorian Dance Festival. Entries are now open and they close December 20. The grand prizewinner will be announced just a few days before Christmas, on December 22. As the trip will take place in the Australian summertime, the lucky U.S. winners can plan to escape the winter blues and jet off to the famous beaches of Australia. Nearing its 30th Anniversary, Energetiks was founded in 1988 to produce stunning high performance dance and active wear. The company is now a beloved favorite in Australia as it continues to inspire dancers with its fresh designs while supporting the dance community through various event and company sponsorships. Dancers across America have started to take notice of Energetiks’ bold and innovative dancewear, and demand is steadily growing. Dancers can enter to win this exclusive giveaway at www.danceinforma.us/winaustralia. The sweepstakes is only open to residents of the fifty states of the U.S, except Rhode Island. If an entrant under age 18 wins, their trip companion must be a parent or guardian. For full terms and conditions visit www.danceinforma.us/winaustralia.